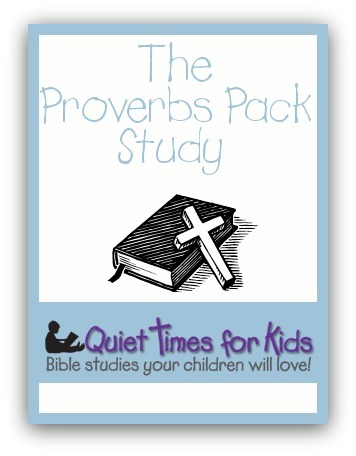 Our Proverbs Pack Bible Study contains two separate studies on the book of Proverbs for a total of over 60 days of Bible studies for your child. 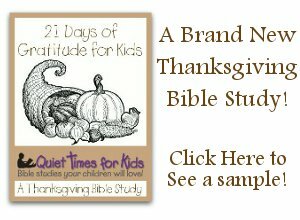 For the first 31 days your child will be doing a survey of the book of Proverbs and will write a report for each day’s readings. In the second study, your child will look at ten positive characteristics and ten negative characteristics. You will need a basic dictionary to complete this study. Each day your child will read two proverbs found on your Proverbs Reading Checklist and will have to determine what character trait they are speaking to by drawing a line from that day’s reading to the matching verse. They will then complete their Bible study page in their notebook by answering questions regarding those character traits in their own life. This is an excellent study pack to get your child into the book of Proverbs! Click below to view a sample of this study. God’s Word has a lot to say about peacemaking. 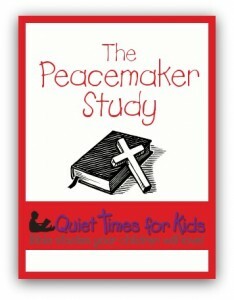 Learning to be a peacemaker in your home will make it a more blessed and peaceful place for your whole family. In this study, your child will learn six principles that are sure to make your home a more peaceful one. They will spend three days studing each principle by finding out what God’s Word has to say on that topic. At the end of the study you can sign a ‘Peace Treaty’ with your family, committing to live by these six principles. The Book of James has been referred to as the ‘Proverbs of the New Testament’ because it contains so many practical lessons for the believer. 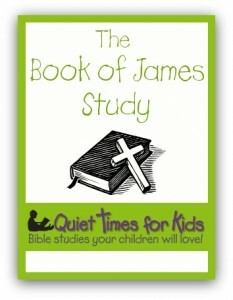 In this study your child will read James many times through to gain as much wisdom as possible. There are twenty lessons in this study to help them grow in faith and wisdom. Each day your child will read one whole chapter and then write out what was gained from that day’s lesson by answering questions and writing out responsive prayers. Sometimes they will be reading the same chapter for a few days in a row. Reading portions of God’s Word over and over can be a good way to truly gain an understanding of what God is trying to tell us. In this study your child will learn twenty different names that the Bible uses to refer to Jesus. Learning the names of Jesus can help us gain a better understanding of His nature and character. In each study, they will look up and write out two verses that use that particular name of Jesus. Your child will also be encouraged to write what they understand the verses to say. Then they will write out a prayer using that particular name of Jesus. Declaring the different names of Jesus in prayer can be a great way to express praise to Him and remind us of His character!